Congratulations to Pam Munday who became a member of the Million Metres Club in July 2012. 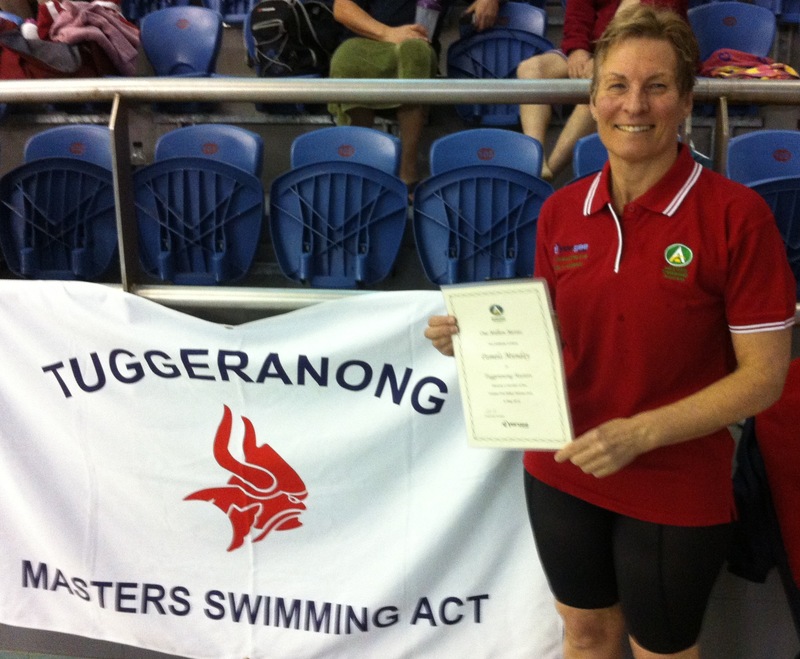 Pam was presented with the award at the ACT Interclub Meet on 29 July 2012. …. and a bit of encouragement to all our Vikings swimmers … don’t forget to log all the swims you do towards your Vorgee Million Metres Awards which are open to all registered members of Masters Swimming Australia. Million Metres recording cards are available from your coaches at training or during Endurance Swim Sessions. You can also use the Million Metres Recording Spreadsheet to record your progress.